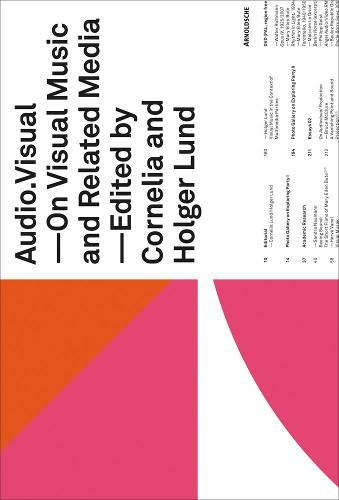 As a publication, "Audio Visual" is divided into two sections: the first deals with the academic discussion on the subject of visual music; the second introduces contemporary paradigms of audio-visual praxis in brief presentations and contextualises them. Apart from being a guide in the historical sense, this new volume provides theoretical approaches to understanding and making visual music. The subject is approached from the fringe (music video, Expanded Cinema, games, etc.) so that the phenomenon can, on the one hand, be more accurately defined via interfaces with other forms of audio-visual production and, on the other, through an attempt at distinguishing it from them.Drawing heavily on examples, the individual essays discuss various aspects of visual music. Contemporary approaches to producing and handling visual music are presented in brief essays that abound with examples. The texts and illustrations are intended to introduce visual music from a great many angles, including the perspectives of musicians, artists, curators, festival directors and software developers, and provide insights into what is currently going on both in the experimental sector and at clubs. The approaches and results presented in the book can be verified and checked with the accompanying DVD that features earlier and current examples of visual music. The DVD shows mainly material from live performances that is often extremely hard to find, be it from Expanded Cinema or performances by VJs and musicians.